Are You At Risk For Developing Coronary Heart Disease? Know The Ways To Prevent CHD! Coronary Heart Disease, in short CHD, is the most common type of heart disease that usually occurs by narrowing of the small blood vessels that supply blood and oxygen to the heart. It is found that, in United States, about seven million people suffer from coronary heart disease and more than half a million die with heart attacks caused by CHD. As coronary heart disease is the result of atherosclerosis, the build up of fatty “plaque” in the inner lining of an artery, which in turn causes a narrowing and blocking of the blood flow to the heart. So, keeping the arteries free from fatty plaque is essential in preventing coronary heart disease. There are several factors that can increase your risk of developing coronary heart disease. Hereditary is a common factor that increases your chances of developing CHD if someone in your family developed this condition, particularly before they reached fifty. The possibility of having coronary heart disease also increases if you have high blood pressure or diabetes. The possibility also increases if you are obese or with inadequate physical activities, or if you have high bad cholesterol and very little good cholesterol in your blood. Smoking is also among the risk factors that develop coronary heart disease. It is found from a research that post-menopausal women are at greater risk for developing coronary heart disease than pre-menopausal women. Controlling risk factors is the key for preventing illness and death from CHD. The primary factors in preventing the development of coronary heart disease are diet and exercise, and cut off tobacco use. Saturated fats and trans fats are very common in red meats and fried and processed foods which are most responsible for blocked arteries. It is good to replace a minimum of fifty percent of red meat you eat with fish. Also, grill or roast foods instead of frying them, and it is good to include fresh fruits and vegetables rather than processed snacks. Blueberries are very effective in eliminating bad LDL cholesterol from the body. Also, controlling the intake of salt content will help lower your blood pressure and reduce the development of coronary heart disease. Physical activities such as exercises play a vital role in preventing the development of coronary heart disease. So, if you don’t exercise regularly then you have very high chances of having CHD. For this, it requires to add only a little activity for a minimum of thirty minutes a day. So, start planning your daily walks, climb stairs, sit-ups, and so on. It is a good practice to park your vehicle as far as you can from the stores where you intend to shop because this makes you to have a little walk. If you have already developed CHD, then medication and surgery may be recommended. 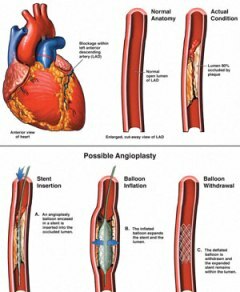 Angioplasty is usually used to clear the blocked arteries by inserting them with inflatable balloons; however in very serious conditions of coronary heart disease, a heart bypass surgery may be suggested [Heart disease prevention methods]. Previous articleFacts About Ovarian Cancer Treatment! 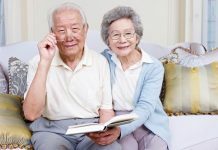 Next articleAre You Affected With Hepatitis? 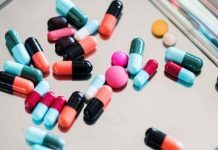 Find Out The Right Hepatitis Virus Type For Treatment!